Location and Facilities: The salon is located in a 1,280 square foot unit with a lease rate of just $5,150/month, including NNN expenses. It houses the perfect mix of highly popular lay down beds, a stand up unit, as well as a UV Free Spray tan booth and airbrushing. The salons operation is automated so the owner can remote access all computer systems and software remotely from home. The video surveillance system and software's built-in clock-in feature helps the owner keep tabs on everything while they are not present. 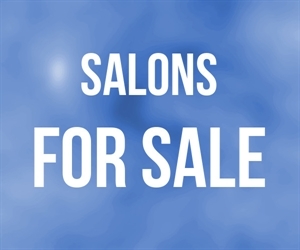 All of the salon's furniture, fixtures and equipment are fully owned and will transfer in the sale. Market Information and Position: This salon offers its customers a variety of tanning options, yet still has room to increase profits aggressively push EFT packages or engage in any consistent marketing campaigns. The current operator has relied on social networking for most marketing and has not engaged in any direct marketing to the local area. Competition is considered moderate to high in South Orange County however this salon continues to add new customers while retaining existing clients. This salon's ideal location amidst a number of highly complementary neighbors will also help to ensure its long-term competitive advantage.